Trunk shows Most trunk shows are for designer gowns, so prices will still be higher than an off-the-rack dress at a bigger bridal retail store. But if you have your heart set on a certain designer gown, this is a great place to look for discounts. If you don’t see an upcoming trunk show for a designer you love, you can call a bridal store to see it it might be willing to offer you a trunk-show deal on a special-ordered gown. Check out consignment shops. This may conjure up images of racks of puffy-sleeved dresses, but in recent years, styles have been very traditional. Buying a consigned gown can save you more than 50% off the sticker price. Most dresses have only been worn once and are kept in great shape. 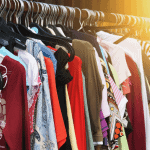 Consignment shops keep their collections organized neatly by size or style, much like they keep their newer inventory. Consigning a gown also could save you on tailoring costs if you find a dress worn by someone with a similar shape or height. If you don’t have a consignment shop in town, check out OnceWed.com. Be mindful of the price tag, though – you may be able to buy a similar dress off the rack for less money. Another place to peek might be your local Goodwill store. Don’t scoff at the idea. I have seen some amazing vintage dresses hanging in the costume section of the thrift store. These dresses may not have not been kept as nicely, but if you know a good dry cleaner and tailor, you could potentially turn a $200 dress into one that looks like it cost $2,000. Negotiate. People don’t typically negotiate their clothes purchases, but this isn’t just any dress. It never hurts to ask for a lower price or for accessories at no additional cost — or to shop around. One bridal shop offered $100 off a dress that I had seen at another shop. Another shop offered $100 off tailoring costs if I purchased my dress there. Think outside the box. If you’re getting married on the beach, or having a more casual wedding, you can look at dresses off the rack in local or online stores. I knew a woman who bought her wedding dress at a department store for $150. Another woman bought an off-white evening gown at Neiman-Marcus for $650. Even Amazon carries wedding dresses. Another idea is to look at bridesmaid dresses in white, cream or whatever color you like. 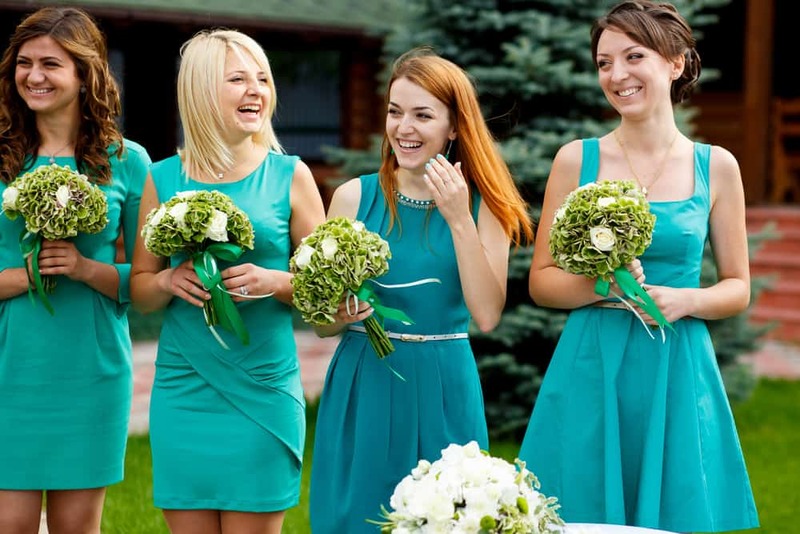 Bridesmaid dresses are designed well and come in a variety of colors. Ask family members if there is a vintage dress stashed away in an attic. My niece paid a tailor to combine the best parts of her mother’s and grandmother’s wedding dresses to create an entirely unique and beautiful item. She paid less than $1000 for the reconstruction, and created priceless memories. Shop at a non-bridal store. Brides can browse through bridal party look-books for ideas, but when it comes time to pick a dress, see if a department store carries a similar style. 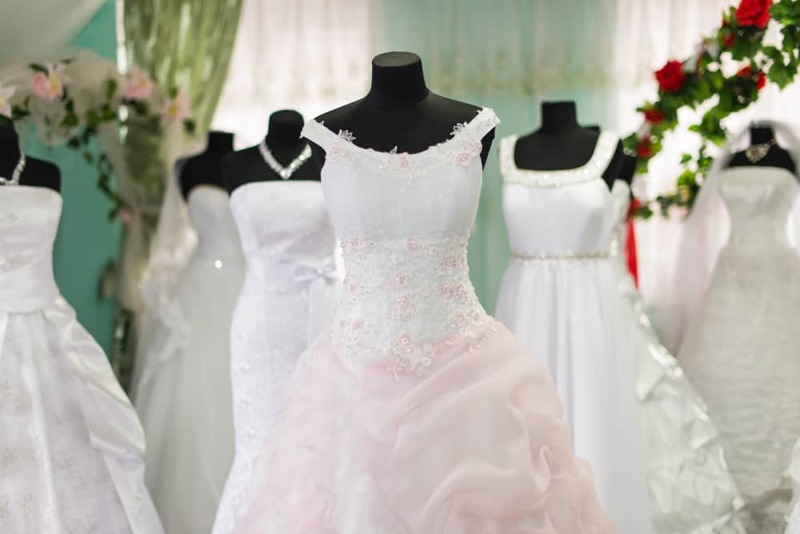 Some department stores have dresses categorized for weddings and formal wear, many of which cost only a fraction of the price of a traditional bridesmaid dress. Perhaps some of these dresses would look good on your bridal party. Off-the-rack dresses often come in multiple colors, so brides can coordinate with their wedding theme. Choose wedding colors that offer wise choices. Trendy colors lose their shine and as a result are only worn once. But a more neutral or classic color will let the bridesmaid get more bang for her buck. 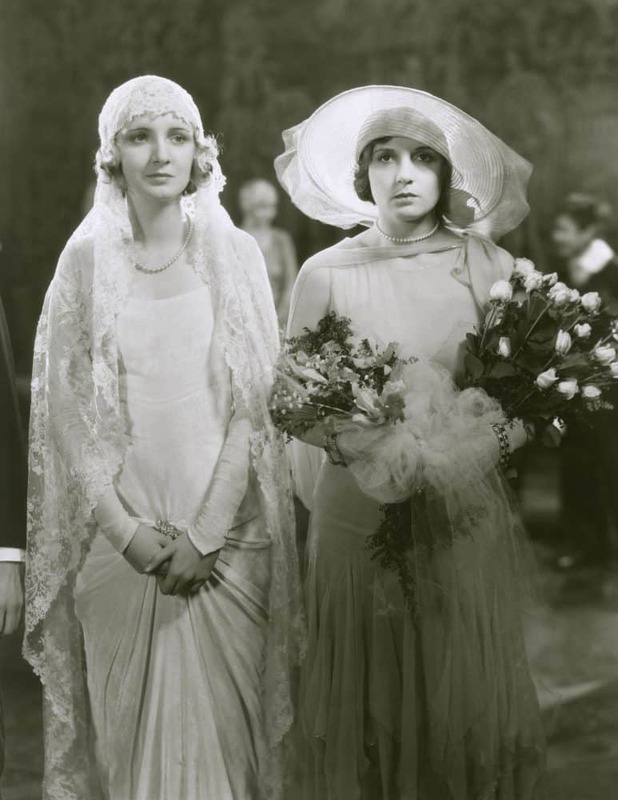 Brides can also check with their bridesmaids to see if there are any brands that they really like and fit well. Check out stores or brands that everyone is familiar with for classic styles that work for both weddings and all-occasion parties so your friends can actually wear their dresses more than once. Have bridesmaid dresses custom-made. This sounds expensive, but often dresses are priced higher due to brand name, not because of quality. The cost of materials usually isn’t incredibly high. Most bridesmaid-type dresses are made of inexpensive polyester. 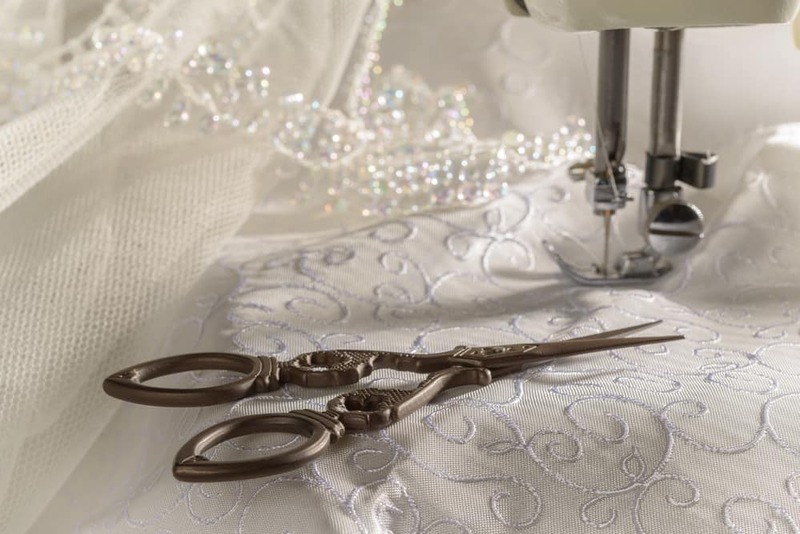 A local seamstress may be willing to negotiate a rate for the entire bridal party. 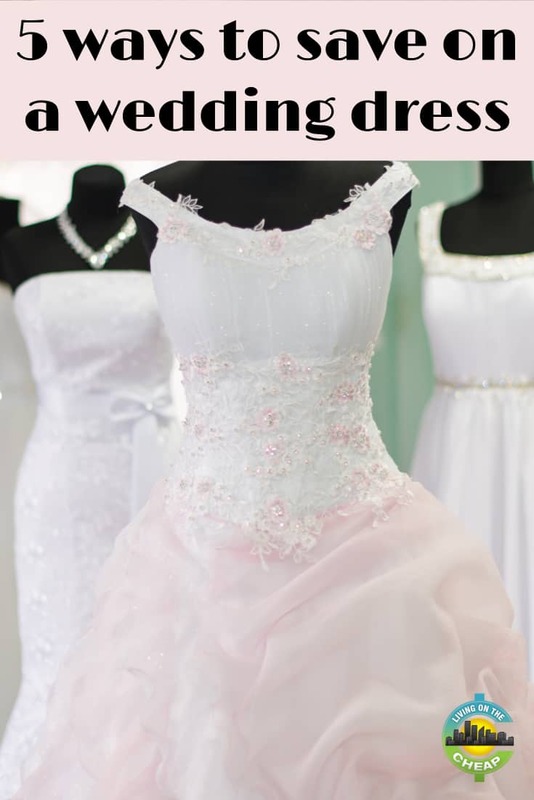 Custom-made dresses also cut down on the cost of alterations and ensure a great fit. Borrow dresses from a local choir. A relative of one Living on the Cheap member used her high school’s choral dresses for her bridesmaids. This free option loosened up funds for other bridal party activities and splurges. Opt for skirts. A skirt and blouse combination could save money – and it has the potential to become a favorite wardrobe item. Classic white skirts with colorful blouses make a statement. Opt for jeans. Hold on there, cowgirl. A well-worn pair of jeans is in every closet – and could set the tone to “fun” if your bridesmaids all don their favorites. 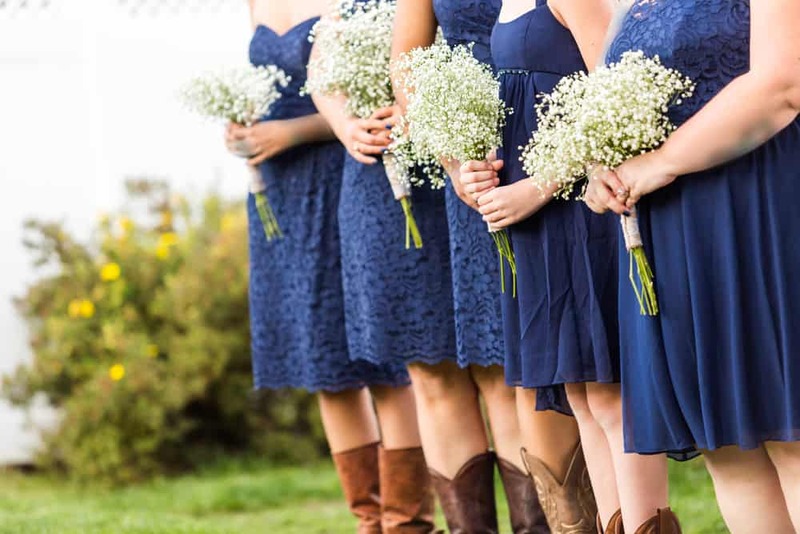 Pair them with lacy tops, spit-polished boots, and a spray of wildflowers – and it’s the wedding of a country girl’s dreams. Or pants. The same holds for a flattering classic black or cream pant. Your bridesmaids might just kiss you. Be the one who starts the new tradition. Offer some choices. Not every dress works as well on every body type – nor every checkbook. Select a few styles in the same color and let your the ladies choose which will be the most flattering to her waistline and wallet. Pony up for an accessory. 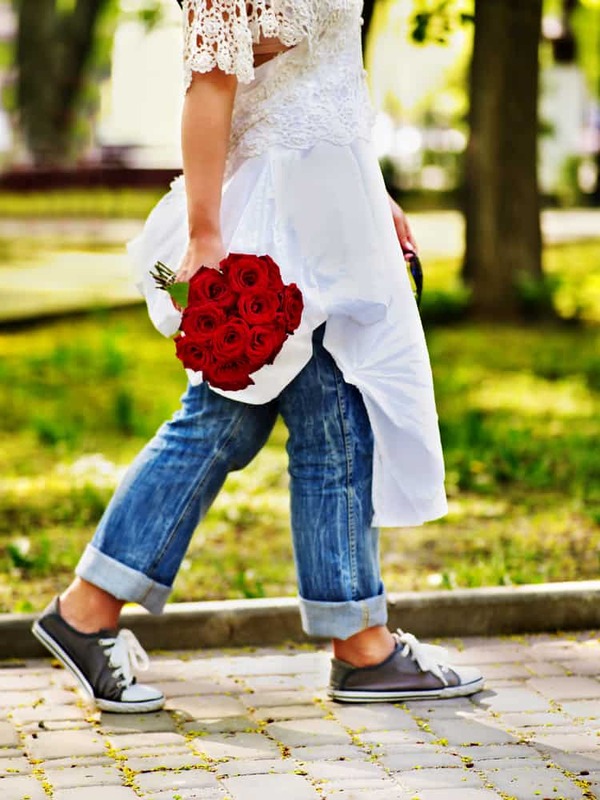 Many brides incorporate an accessory they would like their attendants to wear as part of their special “thank-you gift.” One bride planned to buy her friends’ shoes since she was asking them all to wear a particular color. Another small gift in addition to the chosen accessory may also be in order. 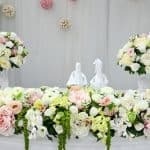 The friends involved in a bride’s special day want to be there for the bride. Do them a favor by thinking of ways they can cut costs so that everyone is happy. 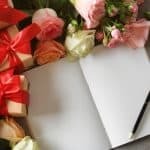 Some brides make it clear from the start that they don’t expect their bridesmaids to give them any gifts beyond doing their bridesmaid duties. This is a nice way to make your bridal party feel appreciated. Another way to help save money is to alleviate travel costs by holding local bachelorette parties and showers. Happy bridesmaids make happy brides. Be thoughtful in what you ask of your bridesmaids. So you shopped around, found “the one” and negotiated, but still paid a little more than you wanted? You can always sell your dress back to a consignment shop, or at one of the shops online, to recoup some of your costs.